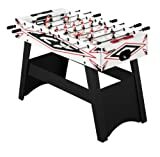 No matter, you’re looking for the foosball table for your office or home or pub, let me congratulate you on deciding to purchase a Foosball table. Having an efficient Foosball table is definitely a great addition to your house or workplace. Playing foosball reduces stress and provides that much-needed sportive mood in our daily routine. There are numerous Foosball tables in the market today, but not all of them suit your budgets and requirements. 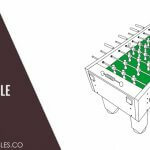 In this Best Foosball Table Guide, we’ve covered the 5 best mid-entry Foosball tables that are both durable and affordable. Let’s dive in without wasting any time! Harvard Mid Fielder Foosball Table is a stylish and sturdy table that you can place in your basement or game room. It weighs over 185 pounds, so it won’t be dancing around the place during the heavy play. It has got chrome-plated steel rods with beautiful octagonal wooden handles which create a smooth play surface. The 5-inch square legs are sturdy and they provide a solid support. The natural wood finishing makes this table look contemporary and stylish. The chrome steel crossbars provide great stability during the heavy gameplay. Coming to the assembling aspect, the directions in the manual are easy to follow. It won’t take long to assemble it. It has some additional features as it has cup holders for your drinks and you get a 15-inch large apron. A wood scoring system, four soccer balls, a three-goalie setup, leg levellers and side ball return are included in the package. Overall, Harvard Mid Fielder Foosball Table assures a great game that your whole family or friends group can enjoy. It a sturdy table which you can buy at a reasonable price. At the moment, this Mid Fielder Foosball table is not available on Amazon. Harvard Black Deca Foosball Table is a classy looking table with modern black panelling. You get accurate and fast Foosball shots, thanks to the octagon-shaped handles and hollow steel rods. 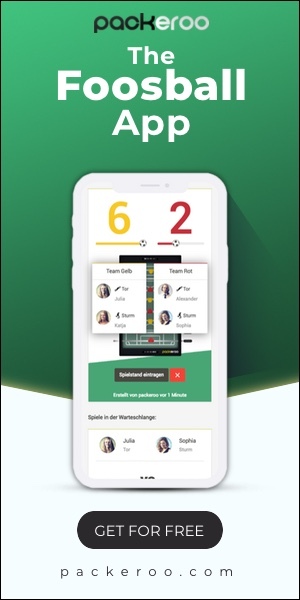 It is a great table to show off your skills in Foosball game. The silver trim finish on the black cabinet enhances the looks of this Foosball table. It has got great leg levellers (5-16 inch) and MDF fibre board legs which provide great stability and strength. The end panel ball return feature is great! The gameplay on this table is as great as it looks! Though assembling part is not complicated, it takes a good 3-hour to do it. The heaviness of the table keeps it sturdy even during the heavy action. Harvard Black Deca Foosball Table is not categorized under professional grade table, but it one of the few Foosball tables which are priced reasonably and sustains the heavy duty action. It is a durable Foosball table. However, the plastic players are a little delicate. Overall this Foosball table is classy, stylish and sturdy as well. The best thing is it is durable and it last for years. It is currently not available on Amazon. Harvard Rematch Foosball Table table weighs only 77 pounds. But don’t assume that it is not going to be sturdy because of its weight. The walls are laminated with blackwood and the same lamination flows throughout the field surface. Kids love the robotic style Foosball men. It handles the aggressive games very well. The surface is perfectly levelled and the ball moves smoothly without getting stuck in the dead spots. We may get an arcade feel while playing games on this Foosball table. The bounce and spin of the dense balls are interesting and draws us more into the game. 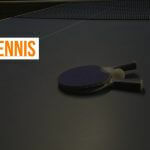 You can change it to the softer flat ball if you want to play a slow and skilled game. The end ball returns are on both sides and it works great! The assembling of this table is super easy but it may take 3 hours. Though the materials are not of high quality, this a great Foosball table considering it’s price. There is a 90-day limited warranty on this Foosball table. Overall, this Rematch table is great for kids or anyone who wants to learn the basics of Foosball. If you are looking for a Foosball table to play the games with your kids, then you must consider this one! It is not available on Amazon at the moment. Harvard NXG is a Foosball table with a difference. The actual size of this table is almost similar to carrom Foosball table. It’s built is solid and the table is sturdy even during the heavy-duty games. One of the special features in this Foosball table is the ball collection box or ball return box is placed on the sides of the table instead of the opposite ends. So, it is convenient for the player to grab the ball even during the game. Harvard is one of the popular Foosball Brands which has been delivering some great soccer tables with different designs and feature sets. Harvard NXG Foosball Table is one of their sturdy and affordable Foosball tables. The ease of playing, the looks and design and the simplicity in this table are great! The red and while players on the stunning black playing field make it look similar to the real-life soccer field. If you are the person who loves the ambience or love to play the games on a good looking Foosball table, we recommend Harvard NXG Foosball Table for you. Though it is a bit expensive than the other Harvard Foosball tables, it is worth every penny for its design, sturdiness and durability. It is currently unavailable on the Amazon store. Harvard Goal Getter Foosball Table is one of the low-end Foosball tables from Harvard. Nevertheless, the styling of this goal getter table is top-notch. The robot kind Foosball men and the wooden feel on the table keeps us hooked into the game in an interesting way. The soccer field is green and it has a laminated PVC played. 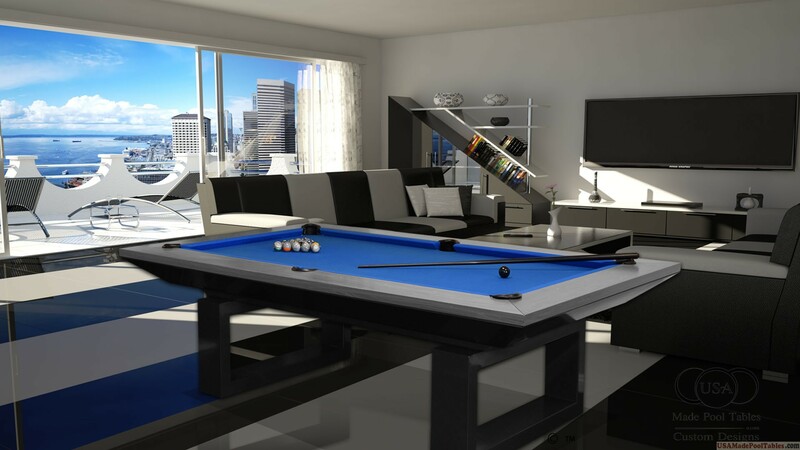 The design of the table definitely enhances our mood and it is fun to play the games on good-looking tables. This goal getter Foosball table is reasonably priced. It’s strictly for novices and kids who just want to have fun! The laminated aprons are large and they provide excellent structural support. The leg levers are adjustable and. It has end ball returns on the two ends of the table. You get 2 soccer-type foosball balls and manual scorers included in the package. Harvard Goal Getter Foosball Table is not a professional grade table. It’s an awesome Foosball table you can buy for your young kids who would love to play the game without thinking too much about the perfect Foosball shots. It is currently not available on Amazon. There are a variety of Foosball tables which are available at moderate prices. Once you have the clarity on your needs and budget, I’m sure you can definitely choose the right Foosball table for you. Lastly, Foosball is a highly addicting game. We suggest you make your own rules and stick to it or else you’ll be spending most of your time on the Foosball table.